Private cottages featuring private outdoor courtyards with plunge pools are the perfect option for couples looking for a serene and extremely private environment. These cottages are also a good option for families looking for villa-style accommodations, but this property may not be a good fit for kids that need lots of activities and sources of entertainment. The inviting yoga pavilion with complimentary morning lessons is a great feature for anyone looking for a health-conscious environment. The Ceviche menu is the largest I’ve seen with ingredients and flavor combinations that allow you to taste both the traditional recipes along with something a little more inventive and adventurous. 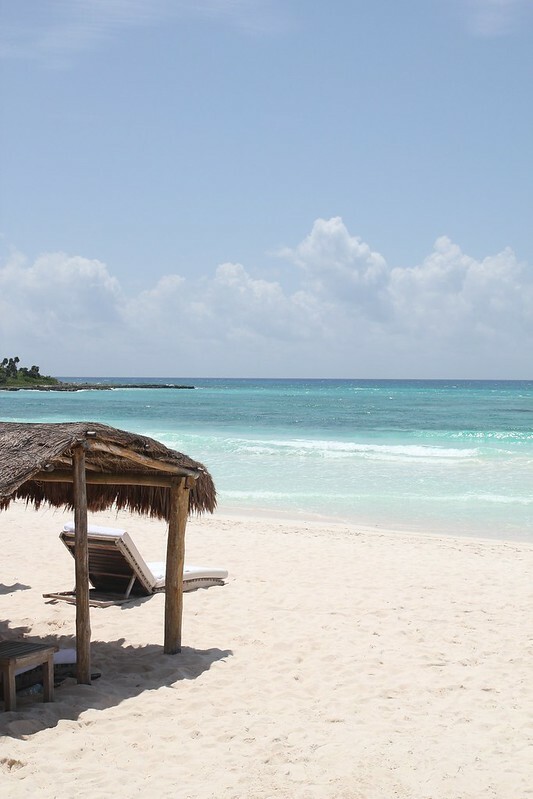 You can bike to Tulum! The perfect location offers up a gorgeous beach, ultimate privacy and exclusivity, and convenient access to the famous site of Tulum. 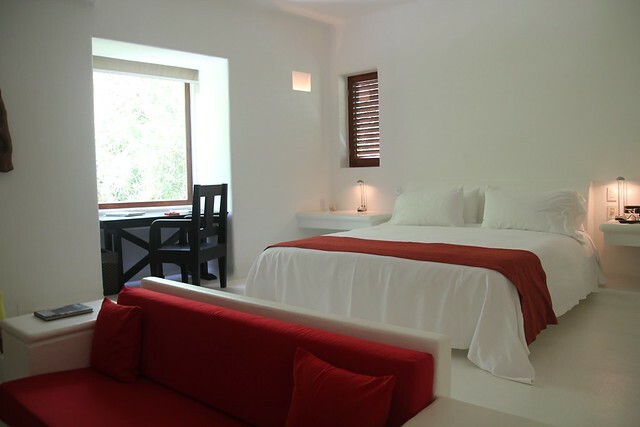 When clients are considering the many luxury hotels in Riviera Maya, the Hotel Esencia is the most often overlooked. It is a smaller, boutique property that doesn’t have a recognizable brand name and it is the farthest away from the Cancun airport. But, depending on what you are looking for, this charming hotel could be just the right fit. See all of the pictures from my site inspection on the Ourisman Travel Flickr page. Originally built as a private home for a duchess, this boutique hotel has a “royal villa” feel to it. The arrival experience is very unique and almost whimsical in the way to first arrive at a thatched hut decorated with a collection of Mayan artifacts. You check in at the welcome lounge and wait for a buggy to whisk you away down a narrow path through the jungle. You fist see the private cottages with their private outdoor courtyards with plunge pools and then the main resort grounds reveal themselves through the vegetation. As you walk up a small hill to the lawn and get your first view of the ocean, you realize this resort is an exclusive mini-paradise ready for you to dive in! The rooms here are decorated with a minimalist design with just a few touches of color against a bright white background. 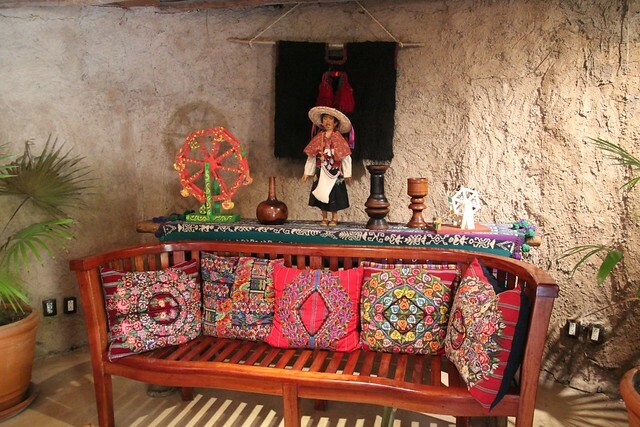 But, the adobe architecture, organic landscapes and Mayan accents give you an immediate sense of place. The real highlight at Hotel Esencia is the picture perfect beach, it isn’t particularly large, but it is very private and it is just the right size for the property. Other highlights include the yoga pavilion which plays host to complimentary morning yoga sessions and the large and creative ceviche menu at the pool-side restaurant. 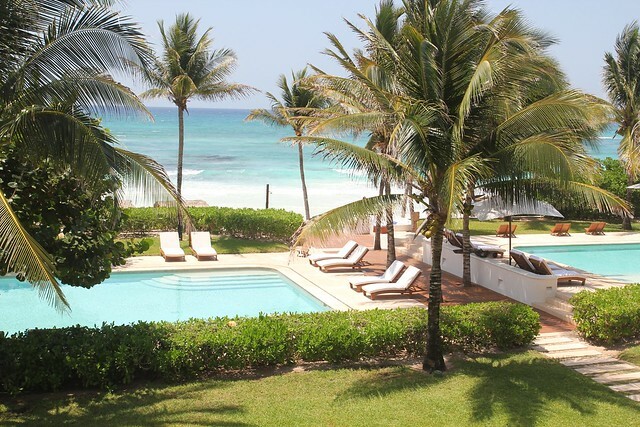 This hotel is the farthest from the airport with an hour drive each way, but that also means you are closer to the sights of Tulum – you can even bike to the Tulum ruins and there is a new nature trail for easy hikes. If you are looking for ultimate exclusivity, simple and genuine local cuisine, and warm yet discreet service, do not make the mistake of ignoring this great option! This entry was posted in Beaches, Hotel Reviews, Mexico and tagged hotel review, Mexico, romantic destination, Virtuoso. Bookmark the permalink.